How many times have you started an Endeavor, a new way of thinking, or tried something new and then a setback occurs and you just go back to the way you were? Don’t worry; you are not the only one! Achieving now a better life takes refocus after any setbacks and difficulties occur in your life which happens all of the time they are a natural activity of the overall aspect of life. There are two ways of facing difficulties. You either change or alter the difficulty or you can alter yourself to be able to deal with it, so you do have a choice. Deal with difficulties correctly and it will enhance your confidence, deal with them incorrectly and they can do some serious damage to yourself worth. Your response to issues and difficulties when you are faced with any setback your ability to deal with it can be turned around into a position of strength by asking yourself positive empowering questions. Ask your mind a stupid question and you will get a stupid answer! Your mind will kick into solution mode and help. •Acknowledge that it has happened. Don’t hide from it. These things happen. So what? •What positive empowering questions can you ask yourself? •What is good about this situation? •How can I make the most of this situation? •What can I learn from it? •What are the facts about this problem? •How can we make it a successful outcome? •Acknowledge that setbacks occur to everyone and you are not being singled out. 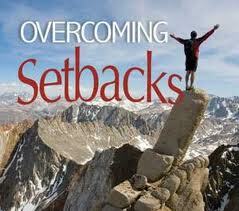 •Think about the negative dis-empowering thoughts that you think on a regular basis after a setback. •What new empowering questions could you ask yourself to give some better answers! 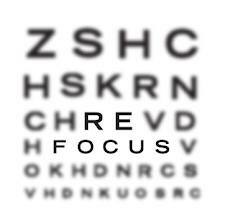 Write these down now and make them a habit; it will change your perspective about any situation. Today, remember that life is about growth, it comes with a full bags of obstacles and challenges, so get use to it. If you ever thought that life was easy, well my dear friend, it is time to take the red pill and wake up. To your success, only you can determine what success is, the same as your reality, it is all in your mind.